Preparing students to be global citizens in a diverse and changing world. Why Study Religion at Luther? Investigate exciting issues of faith, politics, and social justice. The wide range of course topics allows students to examine religion’s complex role in today’s society. Location, location, location. You won’t just read about religious traditions. You’ll experience them firsthand! Our off-campus programs allow students to study religion in its best context in and outside of the U.S.
Equip yourself for a life of meaningful and fulfilling work. Our graduates are truly changing the world with careers in business, law, ministry, medicine, and nonprofit work. There is nothing more extraordinary than gaining a deeper knowledge of global issues through firsthand exposure to other cultures. I currently study interreligious engagement and social ethics with a concentration on Earth ethics at Union Theological Seminary in New York City. I'm currently pursuing a master of arts in theology at Yale University. It’s important to learn about other people’s beliefs and practices in order to get a clearer picture of the world at large. I’m interested in how religion influences politics, and vice versa, so I’m searching for jobs where I can work with social justice and policy. "To me, Luther seemed to have it all: academics, supportive professors, a beautiful location, plenty of student activities, and a close-knit community that tied it all together. It ended up being everything I wanted in a college, and more." The religion department hosts numerous study-away programs in places like Japan, Ghana, and Cambodia. 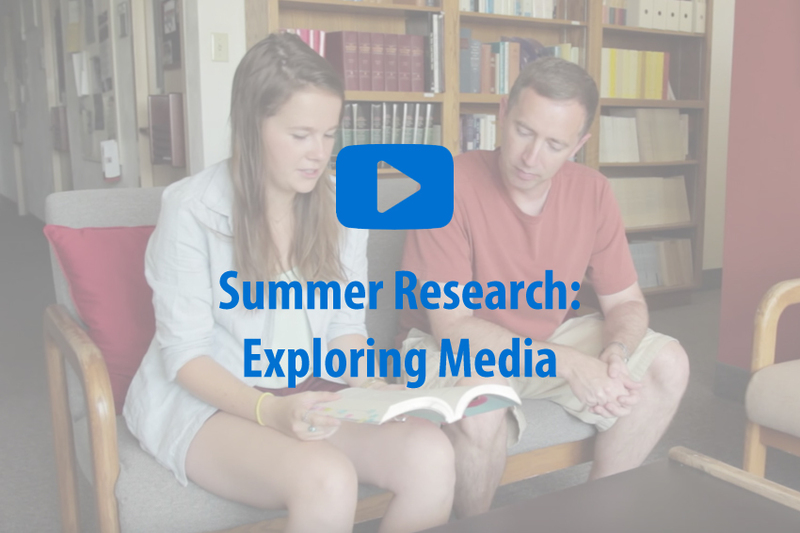 Students often join with faculty to explore specific areas of religious studies. Many of these projects are presented at national academic conferences! The religion department hosts regular events that bring students face-to-face with famous authors, activists, and theologians. The experienced religion faculty work closely with students considering ordained parish ministry, youth ministry, chaplaincy, or pastoral counseling. "As an ethicist, I really wanted to teach at a church-related liberal arts college where I could work closely with students but also interact closely with faculty colleagues in other areas." "I have a strong interest in how religious communities rely on resources from their respective traditions to envision and work toward a more just, more humane world." My courses introduce students to the religious and philosophical traditions of East Asia and encourage them to understand multiple worldviews. I study religion because I feel we spend too little time on understanding how religious beliefs, convictions, and practices shape our decisions. What Can You Do With a Major or Minor in Religion? If you are interested in professional ministry you will certainly benefit from our course offerings. However, a religion major or minor is also beneficial for a diversity of careers and attracts students with a wide variety of interests, many of whom double major in religion and another area of study, such as biology, management, music, or psychology. Use the following links to learn more about how a religion degree can enhance your future career and enable you to make connections with other interests. Religion maintained by Lori Ostlie. Page last updated on 25 March 2019.